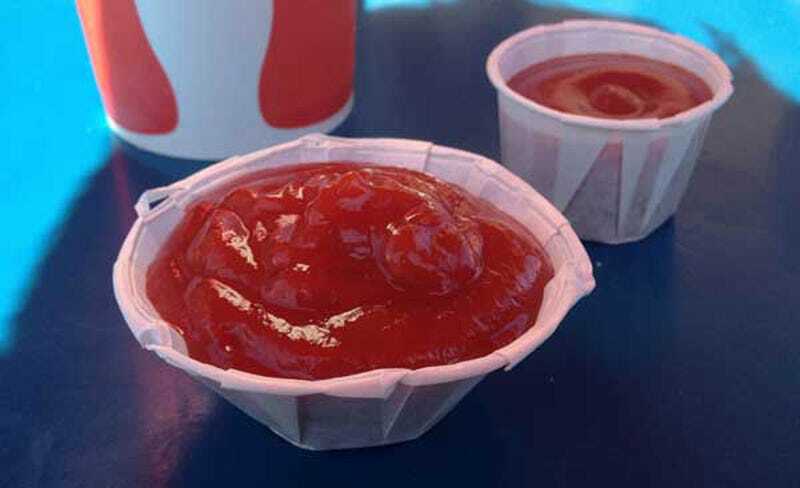 You thought those small condiment cups you get at fast food restaurants only held a thimble's worth of ketchup, right? You were wrong. Horribly, brutally wrong. Turns out you can fan them out, meaning you can dunk your fries by the fistful into a sea of crimson tomato deliciousness. Consider your life forever changed.